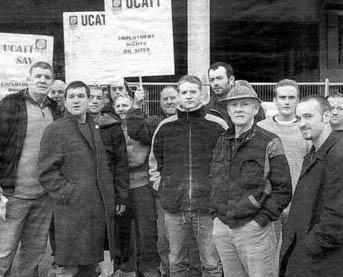 Photo showing Brian Higgins on a picket at the furthest left – where else! Jerry Hicks of there rank and file Grassroots UNITE campaign, who opposed Len McCluskey for General Secretary, writes of the significance of two press reloads, one from Ed Balls, Labour’s Shadow Chancellor, the other from McCluskey. On a day of press releases, two stand out. One from Unite’s Len McCluskey, the other from Labour’s Ed Balls. 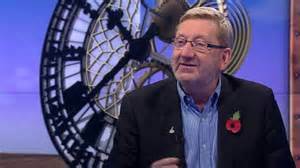 McCluskey promises Unite’s full support for Labour and Ed Miliband, including funding – and my word there will be a lot of that. 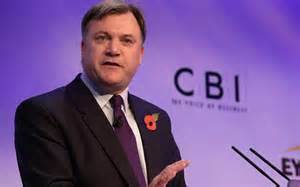 While Ed Balls, Labour’s ‘would be’ next Chancellor of the Exchequer, promises what? Workers rights? Repeal of anti union laws? No, he promises tax breaks for businesses. When was this announced? At a press conference on April 1st or April Fools Day as it’s also known.